The Nutrien Children’s Discovery Museum on the Saskatchewan is no longer a mouthful of words. The museum, slated to late this spring, will now be known as Nutrien Wonderhub. 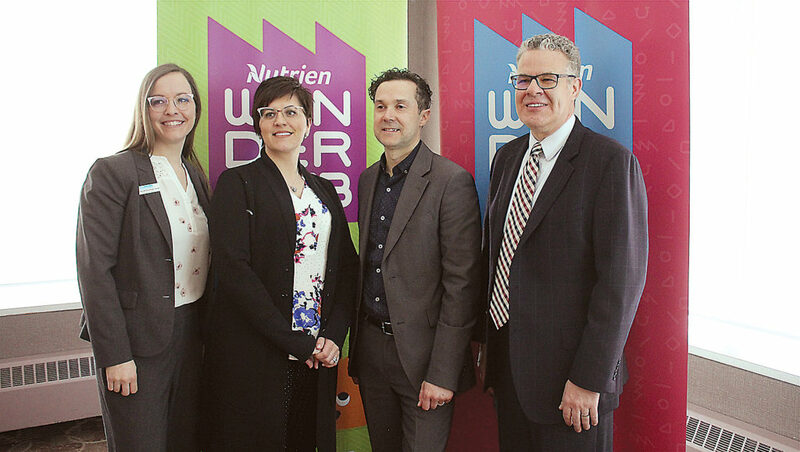 “It was time for us to change the way we communicate with the community about who we are,” said Amanda McReynolds Doran, executive director of Nutrien Wonderhub. “We needed to establish for folks, yes, we are Saskatchewan’s first and only children’s museum, but we are so much more than a museum. “It’s not very easy for a four-year-old to say, ‘Mom, I want to go to the Nutrien Children’s Discovery Museum on the Saskatchewan.’ But what is easy for kids to remember is something that’s creative and short and descriptive — Wonderhub,” McReynolds Doran said at a media conference which included a number of Saskatoon dignitaries. McReynolds Doran said at the start of the rebranding process she didn’t know a new name was in the plan. The name in front of Wonderhub acknowledges Nutrien for its support. The potash company donated $2.5 million to the project. McReynolds Doran said she is often asked to describe a children’s museum. While discovery has been removed from the name, discovery is a key part of Wonderhub. As a mother of three, McReynolds Doran said the project has made her a popular parent. Construction is about 80 per cent complete and one of the structures is being assembled. The museum is going from its current 1,200 square feet in Market Mall to 25,000 square feet in the Mendel building. Wonderhub is projected to have more than 100,000 visits a year. She said what is called an air pocket climbing structure is being assembled. It has swings, a maze and a place to bounce around. Wonderhub’s website lists a number of other exhibits. Wonderhub is being designed for children 12 and under. McReynolds Doran says it can extend far beyond that. McReynolds Doran said a price structure for admission hasn’t been set. There will be general admission, and family and individual memberships available. There will be free days as well. “We are the only children’s museum in the province, so we are committed to making sure there are no barriers to accessing the knowledge and experience we offer,” she said. For more information, visit www.wonderhub.ca.